Ant-Bee is the brainchild of Billy James, an author, composer, percussionist and legendary PR person who is possibly best known for his books on Frank Zappa and Todd Rundgren, and work with various alumni of Frank Zappa and the Mothers of Invention, Alice Cooper Group and Captain Beefheart’s Magic Band. Ant-Bee is a unique musical project in that Billy has recorded music from various well-known musicians, including the above mentioned Zappa and Beefheart alumni, and also solicited independently recorded contributions from a wide range of cover musicians with impressive musical pedigrees. He then, using the mixing desk as his own musical palette, produces some of the most interesting and confrontational music that we have ever heard. He is truly the only musician that we have encountered who produces music within an avant-garde framework that is actually pleasurable to listen to. Commercial avant-garde might seem like an oxymoron; indeed, we have never even considered such a thing to be possible but it is and bizarrely, it seems like Billy James has invented a whole new genre. 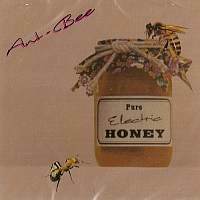 Pure Electric Honey was Ant Bee’s first full-length record, released as long ago as 1990. He told us: “Pure Electric Honey was the result of several years of experimenting with my 4-track reel-to-reel recorder in the early '80s in Los Angeles. I have always been a huge fan of Syd Barrett era Pink Floyd as well as the Beatles Magical Mystery Tour/Sgt. Pepper material etc. So once I had recorded quite a few tracks, I decided for the heck of it to submit some of them to the Bomp/Voxx label in LA - there was a big psychedelic/'60s-type resurgence in indie/underground music scene in the early '80s at the time - particularly in LA and the UK, which also gave way to the fanzine craze in the late '80s. Much to my surprise, Greg Shaw, head honcho at Bomp/Voxx Records, really dug my demos and offered me a record deal. I recorded the album over a series of months in 1989 in LA. When the album was released in 1990, it received critical acclaim worldwide and many excellent reviews and vast airplay. 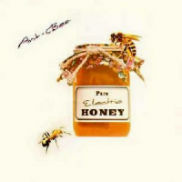 As an artist, who has recently released his 4th album (close to 25 years after this first release), I view Pure Electric Honey as going to kindergarten - just learning the ABCs of recording (although I had been playing drums and percussion on various albums since 1983), as opposed to my new CD Electronic Church Muzik, which is like graduating college. Many have said Pure Electric Honey is their favourite album, which is hard for me to judge in any way but it does have a special charm to it. Also included are some of the original demos that I submitted to Voxx. I must thank Greg Shaw (RIP) who did have the belief in my music to give me my first record deal and release the album way back when - I will always be grateful.” Check Ant-Bee out. We guarantee that you won’t be disappointed. Originally released on Voxx Records in 1990, “Pure Electric Honey” was the first offering from Billy James, the music within a strange mix of sonic abstraction, drifting Psychedelia and bursts of Kraut inspired freakouts. Using a host of guest musicians, the collection is an inspired musical trip, the journey taking unexpected turns, through strange landscapes and familiar countryside, a love of early Floyd always a help in these situations. As someone who has owned and loved this album since its initial release it is somewhat hard to be objective about it, however there is a naïve charm to the recordings with “Eating Chocolate Cake (In The Bath)” being a warm and simple slice of mellowness, “My Cat” invoking the stranger areas of UK Psych before becoming a fine spacey excursion, whilst “Black and White Cat, Black and White Cake” moves into more abstract areas, a quiet cloud of noises and voices. To round of side one, at least on the original vinyl, “The Wrong At Once (Has Gone)” is a beautiful track, the kind you find at the end of your favourite psych album, letting light and love into your soul, just relax and float downstream. After the brief “Say AHHH! !” which is just that, lots of voices saying ahhh, and the ambient Eastern floatation of “The Green Gin”, the rest of the original album is taken up with “Evolution # 7” parts I-IV, a piece that manages to mix the Beatles with early electronic experimentation, creating a joyous track that you can return to again and again, heavy guitar solos adding to the fun to be had as your mind gets blown along the way. As an added bonus, the CD also includes some of the original demos that were sent to Voxx including tracks that didn't make the final album. Possibly not essential, these are stilll worthwhile additions as they remain in the same style and fit in well ensuring the strangeness lasts to the very end. So, move on twenty odd years and we come to “Electronic Church Muzik”, the fourth release from Ant Bee, an album that follows a similar musical path although this time we find Mr James working with people such as Bunk Gardner, Peter Banks, Daevid Allen, Don Preston and Gilli Smythe. Opening with “Birth” the listener could be forgiven for thinking they have just put on an early going album as flute and space-whisper fill the room this feeling dismissed by “Living” and Alice Cooper cover with a nice loose seventies rock feel. This being Ant Bee of course, Daevid Allen appears on “The Language of the Body” half singing the usual bizzare word play over some stoned jazz musings, all good clean fun and the best thing to do is just go with it and keep smiling, especially as the whole thing falls to pieces as it goes along. Breaking into some Zappa style prog, “Eye of Agamoto” features Jimmy Carl Black, Bunk Gardner and Don Preston all proving what fine players they are, bringing life to a happy summery tune. Anyone who knows him, 'the' Ant-Bee , will not be surprised by the track name and the names and aliases of the musicians know what the outcome is going. All others may serve the reading of the names mentioned as a reference, not for everyday use to find on this CD. Almost nothing. "Pure Electric Honey" was first published in 1990 (LP) and this first album of Billy James aka Ant-Bee shows the baby steps of the avant-garde surrealism freaks with a 4-track tape machine. Explore what is, look how his love of music in the style of an artist like Syd Barrett or albums like . Magical Mystery Tour / Sgt Pepper can implement. The result was called "Pure Electric Honey" and love the created, turned Billy on the Bomp / Voxx label in Los Angeles. For the time in the Under Psychedelic underground scene was announced from the sixties and his music even got radio play time.Inconceivable, if you look at today's media landscape. Even private channels, locally or in the I-Net are likely to do with such musical output difficult nowadays. The above two albums, as well as the music of Pink Floyd to Syd's times are actually almost pop, compared to Ant Bees output. Perhaps because one of the Beatles as well as Pink Flyod even the weirdest moments always connects somewhere in some way or combination of ingenious melodies. When Ant-Bee this 'head-connection' is missing and you have to work out the music. Exactly, the songs to be discovered. The best early in the morning or late at night, on the one hand if you have the muse to have new in the head, or this is already so stuffed from the day that he simply takes this type of honey without much resistance. Quotes from the booklet, which documents the development of the title, require in their testimony no further explanation: "Just listen, you might hear something." Or: "... the music thing ahead of it's time ..." She was safe and for the Most of them will be there to this day. The quote number one hits the nail on the head, because after initial 'difficulties' opens a sudden the music. These beginners thoughts you Informed initially if perhaps the house cat is ill and complains if a window shop with no wind rattles, ask the frogs from the neighbor's garden pond for asylum or the washing machine heralds the imminent transition to the scrap dealer by noise so pale after third listening test, and so many should also concede the plate. Ant-Bee has brought a psychedelic cosmos on CD - probably mention here and there experimental, but partly equipped with very harmonious moments - who wants to be discovered and recorded especially. Is that done, you can 'leave' come easy and the music as if by magic it automatically installs itself in exactly the places in the head, where it is currently expected and welcome. Of course, and I'll guarantee it, is not an album, which is at the pole position on the shelf. Also, because you have an aural safe again after an appropriate time interval. But succeeded that's when jostling Bagpipes and Wetkyi moods with birds and frogs to the listener's favor when mellifluous sounds with vocal samples and drum attacks compete or sudden sinking beautiful surrealistic soundscapes in monstrous dark Angründen in the mind's eye. Ant-Bee has with illustrious musicians flock, among other things about his past 'reported' ... that he ate in protest for three weeks with his band stays When chocolate or what he experienced during his India trip. And that's what makes "Pure Electric Honey" an authentic work. No normal output-musicians with whom ambition whatsoever: Here you can when you open yourself to get direct insight into the psyche and soul of a musician. itself I liked the way the Indian best moments as they before mysticism and pleasant, almost trance- rhythm are bursting like that. If, and this is important if you have been listening to.2013er overlay issue are the way at five demo versions of 1987, which in principle do not dance while listening to out of line, but get involved as a matter of course into the overall structure. Though it far too often is the case, avant garde music need not be chilly and foreboding. Sometimes it can be warm and inviting, while still maintaining its outré, weird-and-wonderful characteristics. That’s the case with Pure Electric Honey, the 1988 debut album fromAnt-Bee, reissued on CD in 2013. Pure Electric Honeycertainly bears few sonic hallmarks of the late 1980s. Some sonic touchstones include Frank Zappa‘s late-sixties music; the legendary SMiLE sessions from Brian Wilson; and (relatively) more modern artists such as The Residents and – most notably, I think – Elephant 6 Collective artists Olivia Tremor Control. Now, Ant-Bee (essentially Billy James and a large cast of other musicians) recorded Pure Electric Honey long before OTC cut their debut long player Music From the Unrealized Film Script, Dusk at Cubist Castle, but the two acts are clearly kindred spirits, even if they arrive at sonically related destinations via different pathways. The willfully playful and obscure liner notes on the 2013 reissue ofPure Electric Honey offer little in the way of actual information about the genesis of these recordings. What little we know is gained through listening to the music itself. From the opener (“Intro”), it’s clear that Ant-Bee is concocting a sonic stew that mixes equal parts Beach Boys “Our Prayer” with the studio trickery of inside-the-piano found sounds of Lumpy Gravy. But while “My Cat” might initially feature backwards tapes of a bagpipe, with ghostly vocals smeared atop them, when the song launches into its “rock” section, the result is closer to a pop reinvention of The Residents, with a bit of spooky Third-era Big Star thrown in. Later in the track, gonzo/atonal guitar work takes center stage. The thrilling “Evolution #7” is reminiscent of some of the more musically exciting parts of The Who‘s Tommy, with bonus of some snappy electric sitar and dollops of creamy vocal overdubs. Beats fade in and out of the mix. Though James is primarily a drummer/percussionist, the tracks on Pure Electric Honey are by no means drum-centric. Using the studio as an instrument, James’ cut-up approach sounds like the result of recording many sessions, cutting the fruits of those sessions into into very small bite-size chunks, tossing them on the floor, and then carefully reassembling them into something entirely different. But that assembly is by no means haphazard; the dream-like texture of Pure Electric Honey is carefully arrived at by its creator. During “Black and White Cat, Black & White Cake,” a snippet of a straight-ahead pop song fades in briefly. But then it’s gone, leaving behind a murky, echo-laden slab of musique concrète. And so it goes throughout Pure Electric Honey. Those looking for a toe-tapping good time are urged to look away from this record: it won’t please you. But those who appreciate the unusual – especially the sort of unusual that is pop-based and not at all pretentious – are strongly nudged in the direction of Pure Electric Honey. Garage/psych enthusiasts might be surprised to learn that the original (vinyl) release of this album was on Greg Shaw‘s VOXX label. The sounds on Pure Electric Honey might at first blush seem to be outside Shaw’s area of interest, but a clear love (and understanding) of the sweet spot at which psychedelia, pop and the avant garde all intersect is a hallmark of this album. In that light it’s less surprising that Shaw would have appreciated it. Oh: I’d be remiss if I didn’t mention this as well. 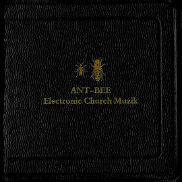 If you investigatePure Electric Honey and wish to delve further into its brand of madness, I would also recommend a much later Ant-Bee work called Electronic Church Muzik. It features a number of “name” artists assisting James in his bizarre musical goals, but it’s even more out-there than the Ant-Bee debut.